If you’re looking for a large, high-definition monitor to view your favorite movies and videos on, then the new HP ENVY Curved All-in-One 34-b120qe is definitely for you. It’s the first AiO machine to be Technicolor Color Certified for its true-to-life color capabilities. Not only is the display superior, but the audio is as well. Expect start-of-the-art sound thanks to HP Audio technology combined with Bang & Olufsen-tuned speakers, of which there are four. There are also two passive radiators designed for enhanced bass. The overall design of the AiO machine is good. The stand features a high-polished aluminum and the tilt mechanism is impressive. Move the monitor to any angle to ensure that everyone in the room gets the best view possible. The 34-b120qe is easy and straightforward to setup – especially if you order it with a wireless keyboard and mouse. It’s also very quiet. Even with the built-in fan, there is little to no noise to worry about. Since it comes with a wireless keyboard and mouse, there is no need to concern yourself with plugs. The only plug you need for the setup is the main power cord. 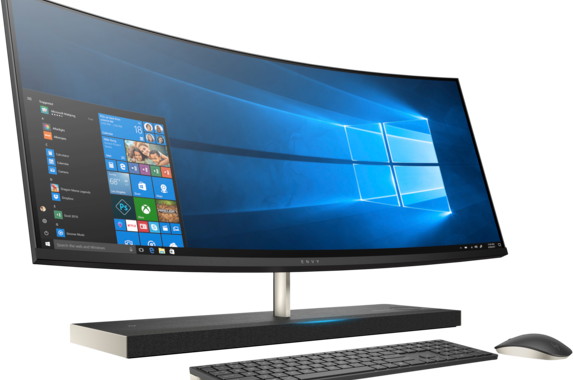 Just how big and impressive is the screen on the HP ENVY Curved All-in-One 34-b120qe? This ultra HD widescreen is 34-inches and has a resolution of 3440 x 1440. It’s a curved micro-edge display featuring an integrated privacy camera that almost appears to float above the aluminum stand / sound bar. When you don’t need to use the camera, it “hides”. With this amount of dedicated graphics power, you can run just about any online or PC game you want on the AiO. Everything will be displayed brilliantly on the curved display. There is room for a 512GB SSD (PCIe NVMe M.2) and additional memory with optional Optane. If you want the Optane technology, it is also compatible with an Intel Core i7 processor if you want something more powerful than the i5 model. This obviously isn’t the cheapest AiO out there, but it’s still definitely worth investing in. If you use HP ENVY Curved All-in-One 34-b120qe coupons, you should be able to get it at an affordable price. It really is one of – if not THE – best AiOs on the market. 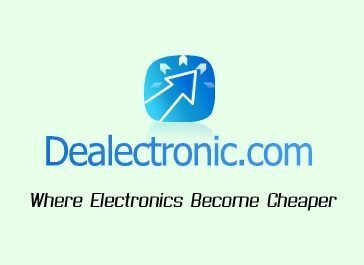 You can find deals on not only AiOs but accessories as well. Do you need a new printer? Keyboard? Antivirus software? It’s all available at an affordable at the online HP store. Don’t forget to add these items to the shopping cart when using the HP ENVY Curved All-in-One 34-b120qe promo code. Posted in Desktop Reviews, HP Desktop Reviews, HP PC Reviews and tagged desktop, hp, hp desktop, hp envy curved all-in-one 34-b120qe.